Famous for its national beverage of the same name, Pisco is a quaint colonial town on Peru’s southern coast. But you’ll find more than iconic cocktails here: Pisco has a high concentration of marine life and birds nearby and is central to mysterious archaeological interests. The region was home to the Paracas culture, one of the most developed pre-Inca civilizations, dating back as early as 700 BC. Azamara takes you to San Martin, the gateway port to this town of intrigue. Devastated by an earthquake in 2007, Pisco’s resolve is renewed and much of the city has been rebuilt into the vibrant fishing town it is today. A birdwatching stroll along scenic Pisco Beach is a great way to begin your visit. Be sure to stroll Plaza de Armas, the local central gathering square, which is surrounded by many restaurants, shops, casinos, and the most popular bar, Totem Snack Bar (where you can try the famous eponymous drink, the Pisco Sour). The Plaza also features a towering statue of General José de San Martin, the former General of Argentina and Commander-in-Chief of the armies of Chile and Peru in the early 1800s. His former mansion and the Municipal Palace sit adjacent to the square as well as the beautiful new San Clemente Church. At night, savor delicious grilled meats and tasty drinks from street vendors around the plaza. 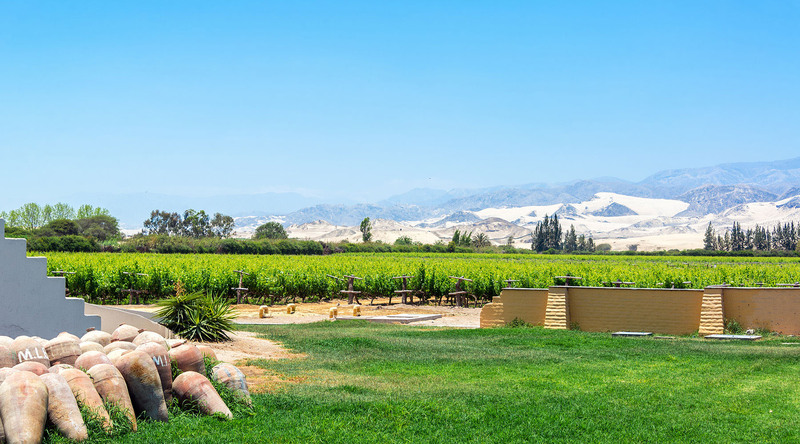 Pisco is a popular jumping-off point for trips to the Paracas Reserve, which includes desert terrain and the Paracas Peninsula, also known as the Peruvian Galápagos, and encompasses the vast coastal area south of the city. Enjoy an excursion to the undisturbed and uninhabited Ballestas Islands, where you’ll be treated to spectacular displays of biodiversity including penguins, sea lions, pelicans (by the thousands), dolphins, whales, turtles, and many other species. Take in great views of the Paracas Candelabra geoglyph along the way. Also known as the Chandelier, this giant figure of mysterious origins is etched into the desert’s sandy hills reaching almost 500 feet high and more than 160 feet wide. Just south of Pisco, in Paracas, this small museum is a hidden gem. Browse a rich collection of Inca and pre-Inca artifacts and displays of Paracan culture, all of which are deeply integral to Peruvian culture. Intrigue is guaranteed when you encounter the collection of famously mysterious elongated skulls. From San Martin Port, take a half-day trip to these beautiful uninhabited islands and observe thousands of marine species and mammals including penguins, sea lions, sea birds, dolphins, and more. A vibrant tavern popular with locals and visitors alike, Don Jaime is a perfect place to sample artisanal Peruvian wines and of course try the famous Pisco Sour with the locals. If your timing’s right, you just might catch some dancing and live Latin and rock music. Join your naturalist guide for a wildlife-viewing cruise to the Ballestas Islands, where you'll view penguins, sea lions, and birds. 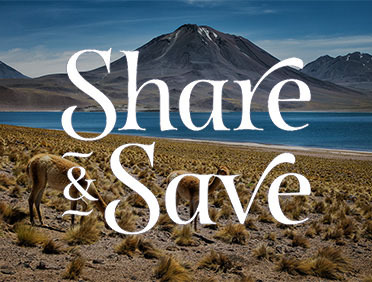 Embark on a wildlife watching adventure to the Paracas National Reserve, an UNESCO World Heritage Site. Journey to the Red Beach of Paracas National Reserve where you’ll enjoy a rejuvenating Hatha Yoga class.